The truth behind collagen treatments and which will actually benefit your collagen. Wondering where all that collagen went? As we age, our skin’s ability to produce collagen diminishes. And depending on our lifestyle proclivities, from too much sunning to unhealthy habits like smoking or poor diet, collagen breakdown can leave us weathered, wrinkled and sagging. There are many different treatments available that claim to boost your collagen and reverse the signs of aging. But which of these collagen treatments actually work? Read below to discover what works and what doesn’t. Can collagen creams benefit our collagen? No. 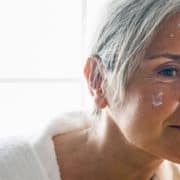 For decades high-end skin tightening creams have boasted that they contain collagen for your skin that will provide the benefits of diminishing your wrinkles. 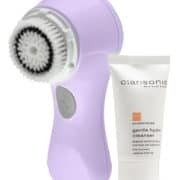 However, to reduce wrinkles, the new collagen would have to penetrate all the way down to the weak collagen deep in the dermis where wrinkles are caused. The simple fact is that collagen is a huge molecule and when applied to the surface of your skin it cannot penetrate down to the dermis. Remember, the single most important function of the skin is to separate the inside of you from the outside world. Simply stated, your skin is engineered with many barriers that are designed to keep things from getting in, and with the exception of a few elements like sweat, your skin is also designed to keep your insides from getting out. Nugget: Just because something may be a protein, doesn’t mean that it is good for us or can benefit our collagen. Snake venom is a protein, and generally speaking, proteins are the main stimulators of allergic/immune reactions. When a foreign protein enters our body, our immune system is immediately alerted and reacts with a defensive inflammatory response. If our skin was porous enough to allow huge molecules of collagen to penetrate into our internal space, imagine how many other toxic or allergy inducing things could get in that could harm us or cause a massive immune/allergic response. We would be in allergy hell at best and more likely just plain dead. Nugget: A good example of how important it is that our skin provides an impenetrable barrier that blocks anything for getting in or out, is what happens to us when a large area of our skin is severely burned. Such burn patients are extremely difficult to save because they are constantly under attack from infections (things getting in) and are in constant danger of fatal dehydration due to simple evaporation (water getting out). Can transdermal collagen delivery systems benefit our collagen? No. 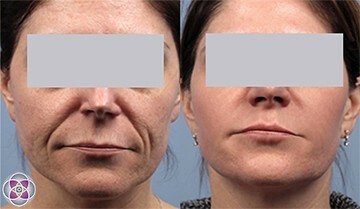 However, if you are over 40 years old you can’t generate much collagen on your own anymore. Which is why the signs of aging accelerate after 40 years. Thus, it would be great if there was a technology that could deliver collagen applied to the surface of your skin into your dermis. (This is called: transdermal delivery) To date, no such technology exists that can deliver topically applied collagen molecules all the way through the epidermis and down into the dermal collagen matrix. 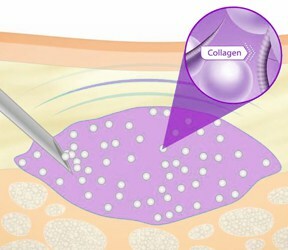 Bottom line: As far as we can tell, to become an integral part of a patient’s dermal collagen matrix, the collagen has to be naturally generated right there in the dermis where it is intended to be used. That is why non-surgical facelifts, cheek lifts and neck lifts focus on exactly that. Nugget: Given that collagen is too big to deliver into the dermis, and given that it wouldn’t be integrated even if it were delivered, is there anything else that we can deliver (smaller molecules) that would benefit our collagen in some way? Yes! Biochemical elements that are needed for the natural generation of your own collagen using supplements such as certain vitamins and growth factors to name just a few, are very effective when introduced directly into the dermis. The use of collagen supplements to generate your own natural collagen was addressed in a previous article. Nugget: The only technology we have ever seen that effectively delivers topically applied products into the dermal collagen matrix is the use of tiny acupuncture needles that essentially push the product into the dermis as the needles physically penetrate through the epidermis. 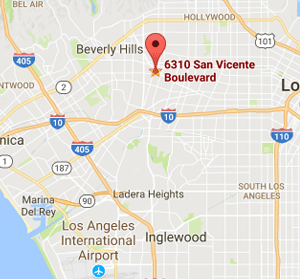 We call this procedure “Collagen Induction Therapy” (CIT), and have performed many thousands of CIT treatments. More on this later. Can collagen injections benefit our collagen? Not exactly. So you’re over 40 years old; you’re not making your own collagen anymore and even the most exclusive and expensive skin cream with collagen won’t penetrate down into the dermis. How about injecting collagen down there? Would that work to reduce your wrinkles, or lift your sagging jowls? Currently, there are only three sources of collagen that can be injected into human skin. In all cases, the harvested collagen must undergo considerable chemical purification and modification so that the product does not transmit disease or cause allergic reactions in the recipient. When allergic reactions do occur they can cause scarring and disfiguring of the skin, producing a far worse condition than before the injection. Nugget: It is perfectly OK for a patient to request that they be tested for an allergic reaction to the collagen injection prior to the actual treatment… after all; your health and the appearance of your face is at stake. We know that even when injected collagen is not rejected by the host physiology it won’t become integrated into the structural design of the collagen matrix. It will essentially be acting as a temporary “dermal filler”, providing a source of volume that plumps up the skin and pushes up wrinkles, making the skin “appear” smoother. In the end, however, the collagen and its effects will gradually be dissolved by the patient’s physiology, and the sagging, jowls and wrinkles will return. Nugget: “Buyer Beware”. Manufacturers of skin care products are forced to use the word “appear” because most of their products only make the skin “appear” healthier or smoother, and are not actually healthier or smoother. 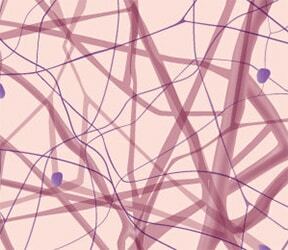 Even a patient’s own collagen harvested from another part of their body and processed for injection, is unlikely to become structurally integrated into the dermal collagen matrix at the new location. Can ozone benefit our collagen? Yes. It can be infused into certain organic oils and used topically. It can be “insufflated”, which means introduced directly into a body cavity such as an enema. It can be injected directly into soft tissue or joints. The effects of ozone on human physiology are remarkably healing. Skin infections and lesions that seem to be unresponsive to most everything else will often respond dramatically to ozone. 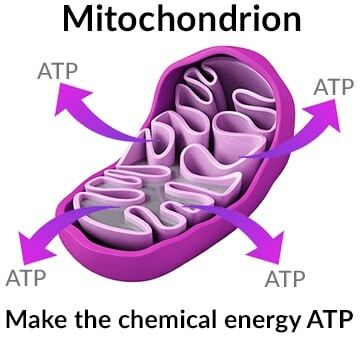 In addition to providing a powerful immune boost, ozone works at the level of mitochondria of every cell in the body, dramatically increasing the mitochondria’s ability to generate energy (ATP) and thereby dramatically increasing the cell’s ability to function. We have integrated the use of ozone into many of our protocols that utilize lasers with tremendous success. Currently, to find a doctor who has expertise with ozone is still a challenge in the US, though ozone clinics are commonplace throughout Europe. 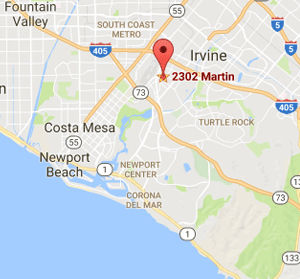 In the US most doctors with ozone expertise practice Integrative Medicine. I will address the exciting developments in the use of ozone in another article. Can MMP inhibitors benefit our collagen? They can help. ALL functions in our physiology are the manifestation of a dynamic equilibrium between polar opposites. (See nugget below) Thus, the existence of collagen is in a dynamic balance between the creation of new collagen and the degradation (breakdown & removal) of old collagen. Nugget: Yes, every function in our physiology is an expression of a dynamic balance between two opposing and sometimes antagonistic processes of creation and destruction. For example, our bones are constantly being “remodeled”, the process in which it is continuously being broken down (dissolved) at the same time and in balance with the creation new bone. Even the fundamental PH levels of our blood, is a dynamic balanced of two antagonistic processes that create acids on the one hand and those that counter the acid by creating alkaloids on the other hand. When these two antagonistic processes are properly balanced, our PH is correct and stable and we are healthy. If these processes become out-of-balance the PH of our blood becomes unstable and we become ill. 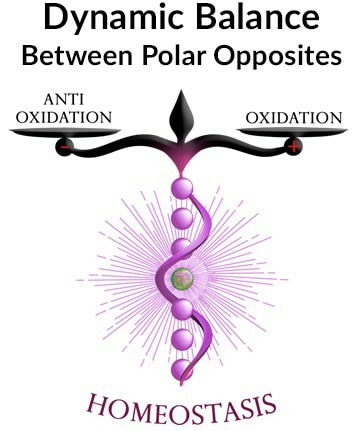 This understanding of the dynamic balance between opposites can be accurately extended to every element in our physiology, inflammatory elements in balance with anti-inflammatory elements, processes and forces that create new tissue (anabolic) in balance with processes and forces that destroy and dissolve tissues (catabolic), even life and death at the level of every cell are always in dynamic balance. Healthy but aged cells are programed to die at their appropriate time (apoptosis) in dynamic balance with the creation of new cells that replace them (genesis and differentiation). MMP are Metalloproteases, which are enzymes that break down collagen. As we age or when our collagen has deteriorated to the point where it should be dissolved, removed and its components recycled, MMP’s are called into action to accomplish this. Thus, by stimulating the generation of new collagen, while simultaneously inhibiting the action of MMP’s, we will have engineered the best possible conditions for a maximizing the amount of collagen in our skin. Currently the availability of products that inhibit the action of MMP are still in development, but all of us who follow the drama of physiological discoveries are eager to explore the possibilities and benefits that these products might offer… Treatments that stimulate the generation of new collagen – Skin rejuvenation, Skin tightening, etc. 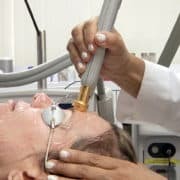 The simplest and least expensive collagen treatments to consider that stimulate the generation of new collagen in your skin, are treatments that deliver the biochemical elements that your dermal collagen matrix needs in order to initiate, promote and sustain the processes that generate new collagen. 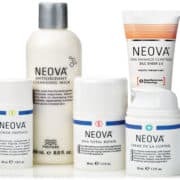 Recall that the epidermis is designed to keep things out, and thus these key compounds have a difficult time penetrating through the epidermis and into the dermal collagen matrix where they are needed. Can collagen induction therapy benefit our collagen? Yes. The single most effective method of infusing these compounds into the dermis is by the use of tiny acupuncture needles that simply push the compounds through the epidermis and into the dermis. This process of applying many tiny needle insertions into the dermis is called “microneedling”. To achieve maximal microneedling results, the needles should be inserted vertically into the middle layers of the dermis. The actual depth of penetration will vary as the thickness of the dermis also varies in different areas of the body. A variety of surgical instrument have been developed that control the rate and depth of the needle insertions. Some of these are manually administered, while devices that are actuated with reciprocating electric motors generate high rates of insertion, similar to tattoo devices. What makes micro-needling doubly interesting and effective, is the fact that when an acupuncture needle is inserted into the dermal collagen matrix, the fibroblast cells that generate collagen are stimulated to release a cascade of essential Growth Factors. The needle insertions cause this even when stimulating compounds are not used. Thus, when using micro-needling techniques along with the compounds mentioned above, the physiological response and the benefits to your collagen are synergistically enhanced. That is why we coined the term “Collagen Induction Acupuncture”. CIA treatments augmented with a variety of collagen stimulating compounds can be easily and safely performed once every month for a series of treatments depending on need. The selection of compounds used should also be customized depending on the particular physiological needs of the patient. New collagen stimulating compounds and unique combinations of these compounds are being developed and clinically tested during the writing of this text. Can laser treatments benefit our collagen? Yes. Yes. Yes. Lasers are highly sophisticated devices that emit a single and pure frequency of electro-magnetic energy. Advanced lasers are exquisitely precise because specific frequencies of energy are preferentially absorbed by different targets. This means that with the correctly matched frequency, we can target different cells types, tissue types, different layers and different structures and organelles in a patient’s skin. 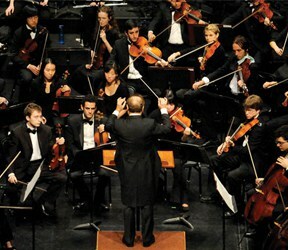 Nugget: As a metaphor for your physiology, think of a symphonic orchestra. Many different sections of musicians will be sitting in front of you. The violin section, the cellos, behind them the bases, further back will be the woodwinds, the brass, the drums etc. etc. Each section plays from different sheet music, or using scientific terms, each section gets different input. If you use the violin music (input) with the woodwinds, it will sound horrible. To generate a full symphonic sound, each section requires it specifically engineered input, and all the sections must play at the same time. So it is with our physiology. For your skin to “play”, that is to function physiologically as it did when you were young, all the sections of you physiological orchestra must be playing. Because of laser’s inherent “target specificity” that can target individual sections of your physiological orchestra, they are essential tools in stimulating your skin to rebuild and “rebirth” itself as it did when you were young. 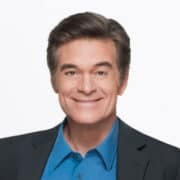 When we think of a non-surgical facelift, or any of the other terms you might have heard, such as: skin tightening, cheek lift, neck lift without surgery, mini face lift etc., we are imagining a protocol that utilizes everything it can to stimulate and guide every aspect of your natural collagen generating physiology to play a symphony. The standing ovation comes when you look in the mirror, seeing and touching your amazing skin that is not only healthy and strong on the inside, but youthful and beautiful on the outside. 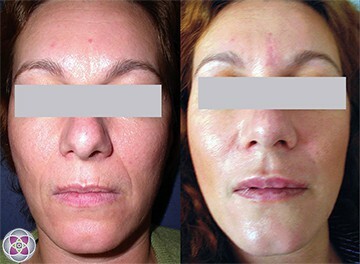 The SpectraLift Non-Surgical Facelift provides the most benefits to our collagen. As mentioned earlier, as we age, our ability to repair collagen as well as make new collagen slows down, and the deterioration of our collagen speeds up. On average, the physiological mechanisms that make and repair collagen in our skin grind to a halt when we turn 40 years old. That is why the signs of aging skin start accumulating so fast after 40. On a daily basis women in their mid-forties arrive in our offices waving a red flag and saying something like: “OMG, in the last year I have aged as much as the ten previous years combined”. Or, “OMG, I looked in the mirror yesterday, and suddenly saw my mother”! Once the collagen generating physiology shuts down, the aging curve becomes steeper every year. The only viable solution to this is to stimulate (turn on) your natural collagen generating physiology to do what it used to do when you were younger, so that your skin will rebuild itself from the inside out. This is NOT the repair of your skin. We call this the physiological transformation of your skin, so that it functions now as it did when you were much younger. Of course, besides the fact that generating your own natural collagen seems to be the only treatment that will actually produce the results you want, your skin not only becomes better looking, it will be stronger and healthier as well. You skin will not only look younger, it will actually be functioning at a younger physiological state. In our practice our patient’s came up with the saying; “go beyond repair to holistic skin rebirth”. Nugget: Many of our patients report how satisfying it is when their friends exclaim that their skin looks so much younger… because they get to say, “It doesn’t just look younger, it actually IS younger”! Nugget: One of the significant advantages of working through the physiology of our patient’s skin to cause the rebirth of young, healthy and beautiful skin, is not just the fabulous aesthetic results, but the satisfaction our patients feel when they see that their own physiology did all the work! From week to week our patients actually experience how the regenerative capacity of their own physiology can bring back youthful and robust health to their skin. Thus, many patients report that this revelation even inspired them to give the rest of their physiology a chance to improve their overall health, by turning over a new leaf with a more conscious and healthy lifestyle. By working with your physiology instead of introducing foreign products into your body, you also are eliminating any risk of allergy, immune reaction or injection-induced infection. The good news is that stimulating your own natural collagen production can actually be achieved, and significant and clinically proven results are attainable. Fine lines can disappear, and even deeper wrinkles can be dramatically reduced, while your skin lifts, tones and tightens. Pores will shrink back down to their younger size, producing skin that looks like and actually is the skin you once had when you were much younger. In support of this reality, beyond skin rejuvenation, you might see marketing terms such as “natural face lift”, or “holistic face lift” or non-surgical face lift. Recall from the previous article about What is Collagen? The Basic Biology, that the natural formation of our collagen matrix is a very complex process that requires extensive physiological “machinery” and considerable time. 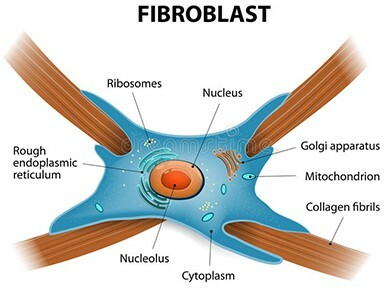 In fact, from the moment the cells that make collagen are stimulated (Fibroblast cells) around 8-10 weeks are required for those cells to become fully active. Likewise, after 20 years of research and development and with the experience of providing over 42,000 non-surgical face-lift procedures, we have discovered that the best results require a comprehensive approach utilizing many modalities that stimulate collagen production and remodeling. In addition to a laser face lift, many technical modalities are combined in a series of treatments in order to bring your collagen generating physiology to maximal activity. https://www.amaskincare.com/wp-content/uploads/2018/04/whichtreatmentsactuallyprovidecollagenbenefits.jpg 465 936 Alice Pien, MD & Asher Milgrom, PhD /wp-content/uploads/2017/10/AMA_large_logo.png Alice Pien, MD & Asher Milgrom, PhD2018-04-02 19:31:212018-08-28 22:12:36Which Collagen Treatments Actually Benefit Your Collagen?